The pipe-stem of the Plains Indians was made of golden sumac, a sumac which used to grow close by the pipestone quarry. This stem was about 24 inches long and an inch wide, but quite thick, flat like a carpenter’s pencil. This is the way the hole through the stem was made. Gathering the sumac in Spring when the sap was up in the large pith, some meat or fish was put out where blowflies could work on it. When large maggots were on the meat, the piece of sumac which had previously been put in a can of oil or bear grease, was brought in. As the large pith had taken up the oil, it was soft, and quite a bit was dug out. The maggots were then sealed up in the stem, to either eat their way through, or die. Sometimes they did both, but there was plenty of time to do it all over again, patiently, till a long perfect hole was drilled through. 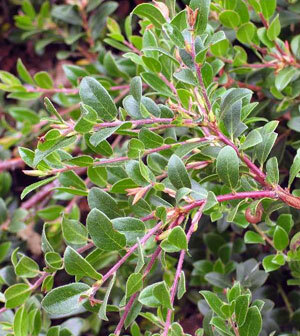 LiveStrong: What Are the Benefits of the Herb Uva Ursi?